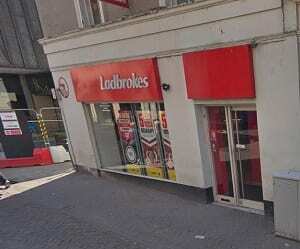 This page shows all the local information you need about the Ladbrokes betting shop located at 40 Rose Street in Edinburgh. Here you can find the current opening times as well as contact information and a map showing you where to find it. 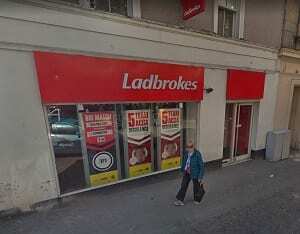 Below is a map listing which shows where the shop is located so you can easily find it if you want to go over and place a bet. 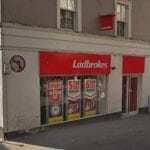 Visit this page to see the rest of the UK Ladbrokes shops available. 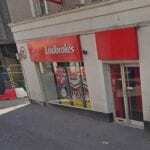 Below are some photos of the shop which is located in the city centre close to many other shops and businesses. 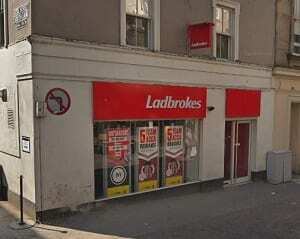 If you are wanting to bet online on your favourite sporting events, you can usually find Ladbrokes calculators which help you find the potential winnings from your bets. Whether you want to bet on hockey or loads of other top sports, this brand is one of the best both online and in their local stores. The license status: Grant by Edinburgh City Council. Edinburgh is Scotland’s second most populous city and the seventh most populous in the United Kingdom. The official population estimates are 464,990 (2012) for the Locality of Edinburgh (Edinburgh pre-1975 regionalisation plus Currie and Balerno), 513,210 (2017) for the City of Edinburgh, and 1,339,380 (2014) for the city region. Edinburgh lies at the heart of the Edinburgh and South East Scotland city region comprising East Lothian, Edinburgh, Fife, Midlothian, Scottish Borders and West Lothian. The city is the annual venue of the General Assembly of the Church of Scotland. It is home to national institutions such as the National Museum of Scotland, the National Library of Scotland and the Scottish National Gallery. The University of Edinburgh, founded in 1582 and now one of four in the city, is placed 18th in the QS World University Rankings for 2019. The city is also famous for the Edinburgh International Festival and the Fringe, the latter being the world’s largest annual international arts festival. Historic sites in Edinburgh include Edinburgh Castle, the Palace of Holyroodhouse, the churches of St. Giles, Greyfriars and the Canongate, and the extensive Georgian New Town, built in the 18th/19th centuries. Edinburgh’s Old Town and New Town together are listed as a UNESCO World Heritage site, which has been managed by Edinburgh World Heritage since 1999. Edinburgh has three football clubs that play in the Scottish Professional Football League (SPFL): Heart of Midlothian, founded in 1874, Hibernian, founded in 1875 and Edinburgh City, founded in 1966. 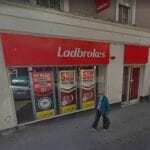 Many fans like to bet on their local teams using Ladbrokes either online or in shops close to where they live. Heart of Midlothian and Hibernian are known locally as “Hearts” and “Hibs” respectively, both play in the Scottish Premiership. They are the oldest city rivals in Scotland and the Edinburgh derby is one of the oldest derby matches in world football. Both clubs have won the Scottish league championship four times. Hearts have won the Scottish Cup eight times and the Scottish League Cup four times. In women’s football, Hibs and Spartans play in the SWPL 1. Hearts and Edinburgh University Hutchison Vale (EUHV) play in the SWPL 2. Caledonia Pride are the only women’s professional basketball team in Scotland. Established in 2016, the team compete in the UK wide Women’s British Basketball League and play their home matches at the Oriam National Performance Centre. Edinburgh also has several men’s basketball teams within the Scottish National League. Boroughmuir Blaze, City of Edinburgh Kings and Edinburgh University all compete in Division 1 of the National League, and Edinburgh Lions and Pleasance B.C. compete in Division 2. Boroughmuir won the league in 2016, and won the playoffs in the same year, beating the University in the final. Find out more about basketball betting here if you are interested in putting a bet on some of the current matches being played.